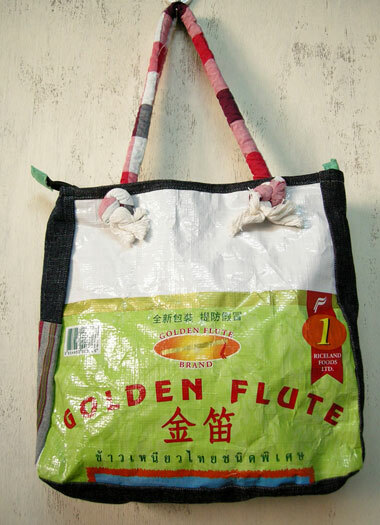 Colorful shoulder bag, made of recycled rice bags. It has a cotton sling and is trimmed with jeans fabric. Fully lined with cotton. In the inside there are two little pockets. Gorgeous 'Golden Flute' design: A little boy with a flute sitting on a water buffalo. 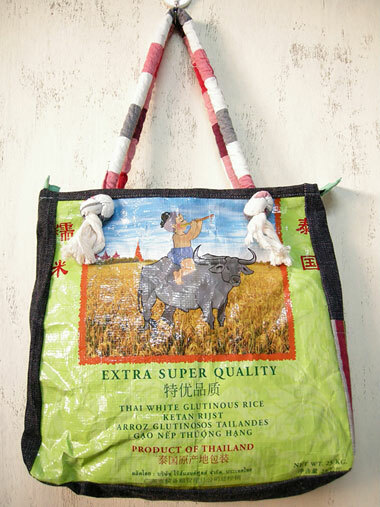 This bag is a sustainable and eco-friendly product, recycled from original transportation bags. 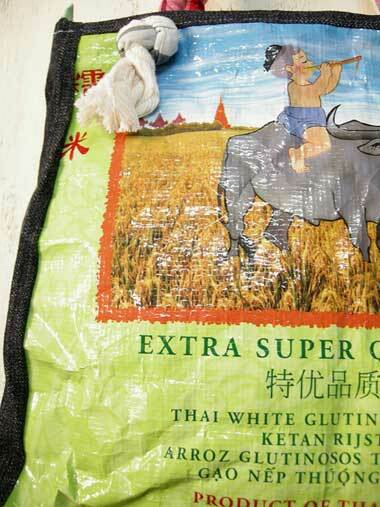 Once used for carrying rice in Thailand, they are now recycled into stylish sling bags and shopping totes. Only the best designs and most colorful bags get recycled. The material is known for its strength and durability, it will last a lifetime! This bag is hand made and therefore unique! Length of the sling: 9.00 in. (22.86 cm).